With all the changing weather, heightened Vata energy, and transformation of nature around us, Autumn becomes a reminder of the impermanence and unpredictability of life itself. What we often deem to be ‘permanent’ fixtures; our body, our mind, our emotions – and even our relationships, careers and material possessions at times – are in fact very trivial and temporary. Yes, it’s easy to say this without meaning it, but when we consider that as a species the human race has existed for just 0.004% of the earth’s history, it becomes even a little silly to take ourselves so very seriously…. The earth has existed for over 4.5 billion years just fine without us worrying about whether we look a bit fat in that new pair of jeans, or whether we’ll have enough money to buy the big house or the expensive TV…. There are times when we may feel content and settled, and that’s brilliant of course – but when we become attached (raga) and cling to the comforts of life (abhinvesa) in this way, we end up creating more suffering for ourselves as a result. Indian Stories Have A Lot To Teach Us…. Indian texts have many ways of helping us realise we’re a hell of a lot more than this body and this mind – in fact I would go as far as to say that Yoga is about exactly this; realising we are the thing that drives the body around – the energy – we’re not the skin or the legs or the eyes or the sadness or happiness or jealousy or desire, that stuff exists in order for us to learn and grow in this world. We are so much more than we allow ourselves to be. Two stories depict this message well, the first is the story of ‘Krishna as the Thief’, which describes Krishna (known as ‘the divine’, or ‘god’) as a Maakhanchor or ‘Butter Thief’. In India, butter, milk and the cows they come from are considered sacred. Butter is representational of life and the soul in this story, and the clay pot which is smashed when the butter is taken is the body; so why would Krishna or ‘god’ be presented as a thief? The story tells us that Krishna is not interested in who we appear to be on the outside; our ‘clay pot’, in fact the whole universe, is far more interested in what is inside the pot – the butter, ‘the soul’, or the ‘true self’. The pot can be as beautiful and impressive as we like, but it is what is inside the pot that actually matters in the end. 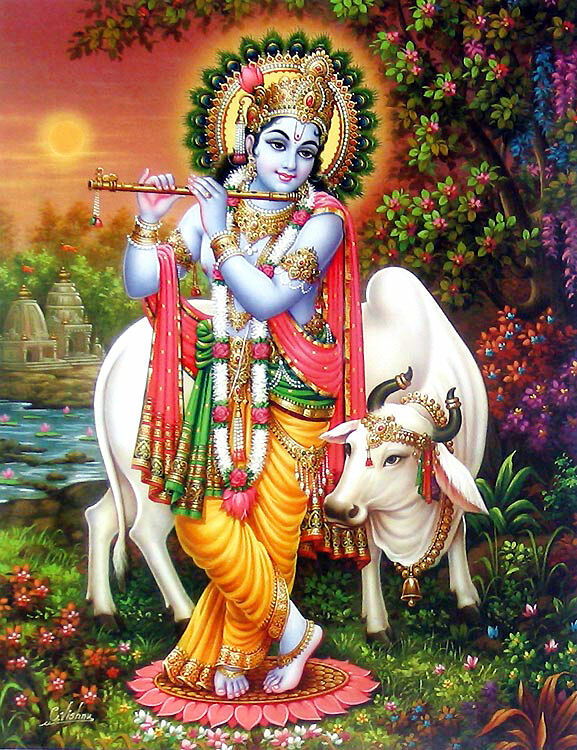 Krishna steals the butter in these tales and leaves the pot to smash on the floor; an example of the temporary nature of life and the body, and the fact that in the end, the only thing ‘the divine’ cares about is how good we are inside. There is a second and more well known text which lets us know we’re here for bigger and better things than self-consciousness over the way we look and spending hours agonising over our own life story, or as Simon Hass puts it; ‘We become so engrossed in our story that we lost sight of our own separate existence outside of that story. As a result, we take ourselves far too seriously. Our tiny human lives suddenly take on enormous significance’ . 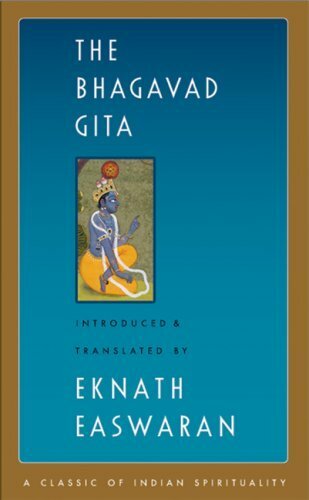 This text is the Bhagavad Gita. This text is not just for reading, memorising and repeating – but is a handbook for life; something which guides us towards a life of purpose, meaning and peace. It is to be read with the heart and not just with the mind. The word ‘Dharma’ means ‘that which upholds’, it is our ‘life purpose’ or ‘duty’. This doesn’t mean we need to figure out which day job we’re supposed to be doing, and it definitely doesn’t mean we should sit alone in silence trying to figure out why we’re here…. Our dharma is discovered when we actively engage with the world; when we put ourselves out there and make a mess of things, scrape them up and clumsily try to put them back together; when we trust our instincts, say yes and do something that makes our eyes open and our hearts beat a little bit harder. We do not have to know our dharma or purpose right away, and maybe we’ll never figure it out. BUT by applying the principles of dharma to our every day decisions, we begin to naturally live a life which is true to who we really are, and in this way we will automatically live the life we are meant to be living. We’ll look at this deeper in another post – but for now, these are the four aspects to apply to each of our decisions in order to begin living our Dharma. 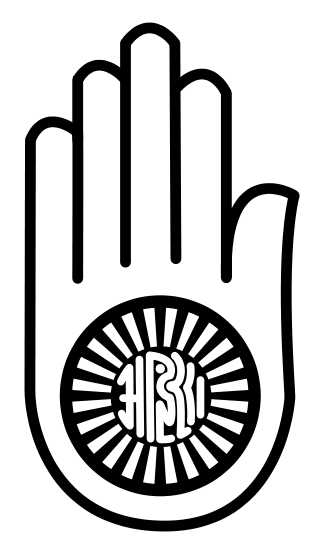 A symbol depicting ‘Ahimsa’ or ‘Non-Violence’, a principle of Dharma. A lot of the every-day decisions we make – ‘what goes on when nothing much is going on’, or ‘what we do when we think we know what we’re doing’ – (Freud) add up to creating our entire lives. From the way we speak to our family and friends and deciding what to do on the weekend, to decisions that instantly and intensely impact our lives; all of it can be approached with these considerations in mind in order to ‘make enlightened choices’ – (Simon Hass). Living purposefully, and while considering whether we’re living in alignment with truth, purity, non-violence and discipline allows us to ‘live our dharma’ and connects us to something far greater than ourselves. We begin to come into relationship with the world around us more, and life begins to flow with a little more momentum. Considering the principles of dharma in all of our decisions is what keeps us on track – especially when we’re faced with those moments of impermanence and unpredictability, when we experience challenges, and when life seems like a complete mess. We can’t control every situation, but we can control the choices we make and the ways in which we make them. By living this way, we allow life to unfold and reveal all it has to offer us when we’re being ourselves. We end up ‘doing’ life fully, not half-arsing it by denying ourselves what it is we know we truly need to do. 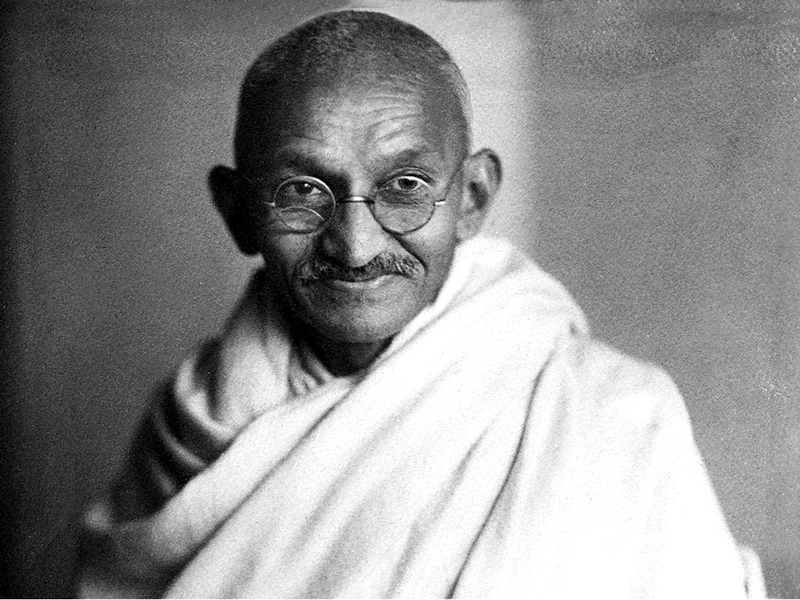 Many of the people who are well-known for being an example of living a life of Dharma; Gandhi, Beethoven, Walter Hagen, John Keats and Jane Goodall, all faced adversity (some in surprising ways) but very much stayed true to the principles of dharma and made a huge impact on the world. As the late Dr. Wayne Dyer said in an interview I listened to recently; ‘none of them died with the music still in them’. Life can very much be what we make of it; it is usually those very moments in which ‘we think we know what we’re doing’ that we reply on habit and subconscious patterns to get is through the day instead of actively engaging with life – yet these are the parts we spend a large proportion of time. If we’re going to ‘do’ life, why not ‘do it’ fully? In order to live a life of fulfilment, experience and purpose, perhaps we have to start living on purpose. We are not here to die with our music still inside of us, we’re here to play it very very loudly.